On Friday, I had the opportunity to attend the Latinos In Social Media conference spotlighting best practices of social media. What excited me about this conference was the idea of social media movers-and-shakers from all over the country converging in Chicago and being recognized for the work they are doing using online tools. 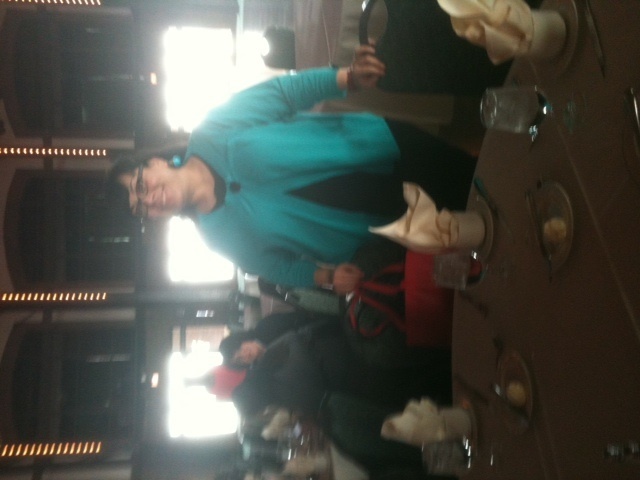 Gracias y felicidades to the hard working LATISM team and Chicago LATISM chapter organizer Elma Placeres Dieppa for putting together the conference at Navy Pier. 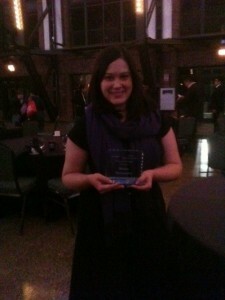 During the conference there was an awards ceremony. 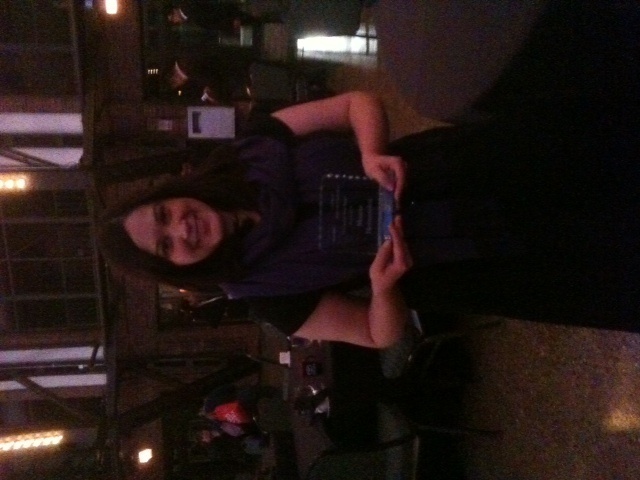 Congrats to everyone that won an award and was nominated! 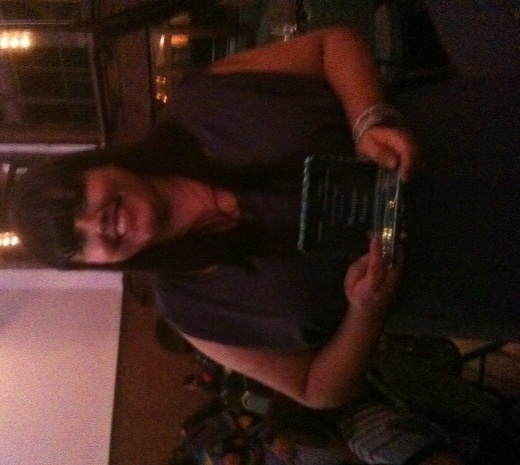 Best lifestyle blog award went to Monique Frausto for CLICK Latina. Read an interview we did with Monique last year. 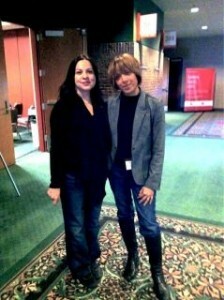 She is also the founder of Blogs by Latinas so if you are a blogger check it out! 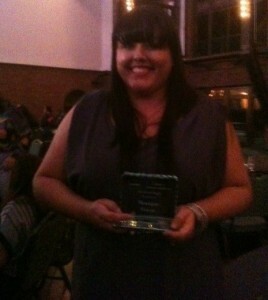 Best Latino Food Blogger went to local blogger Maura Hernandez for her blog The Other Side of the Tortilla. Her blog is a feast for the eyes and full of delicious recipes! 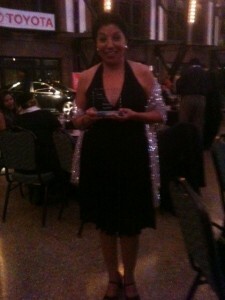 Best Latino Social Network Leader went to Rebecca Aguilar, founder of Wise Latinas Linked. It’s a place where Latinas can network and share resources. 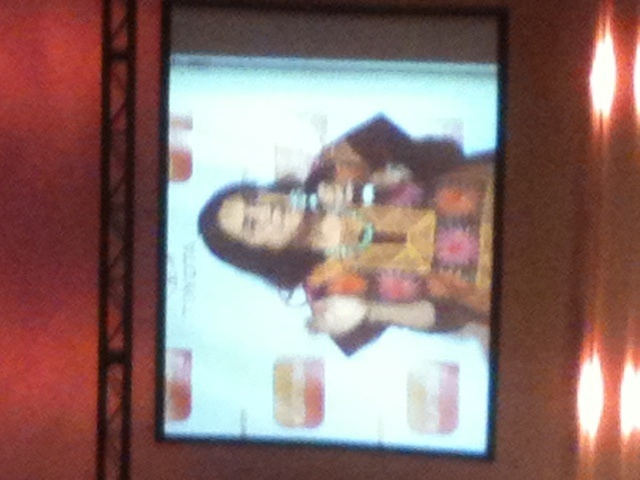 To my delight the keynote speaker for the evening was none other than Dolores Huerta! 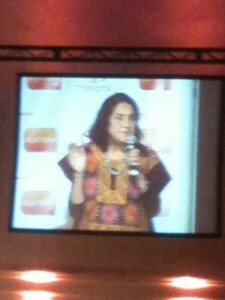 At 82 years of age Dolores is still on the move doing work in the Latino community. 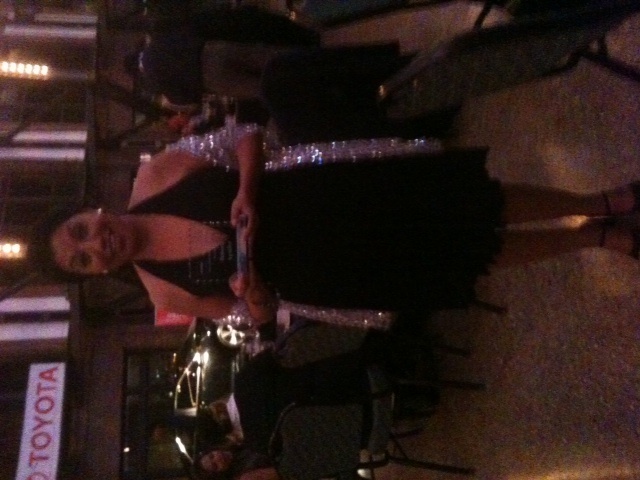 Through her foundation she is empowering and improving the quality of life for communities in need. Listen to interview Proyecto Latina did with Dolores! 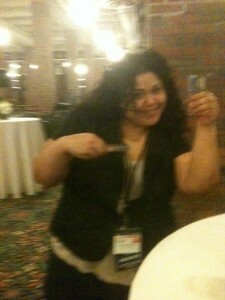 Attendee Vanessa Alvarez from Mercy Home for Boys and Girls shows off some Artistry lip gloss she scored from the folks at Amway. 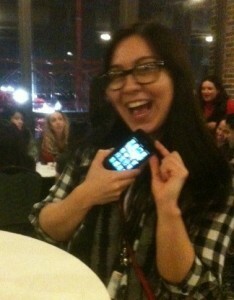 HACE’S social media manager Cristina Aguirre shows off her social media savvy using her smart phone to tweet updates about the conference. When I was sitting in on one of the panels who should come strolling in? 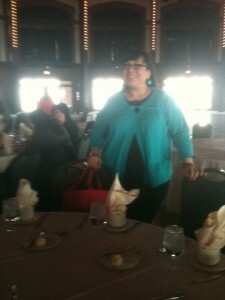 None other than communications goddess Diana Lopez Rabadan. I had not seen her in 20 years! Looked like an awesome event! Awesome recap! 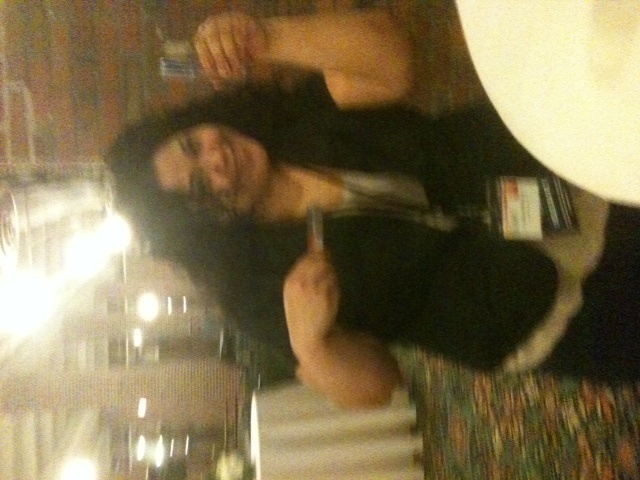 Next year we post en vivo… Texas, look out! It was a great experience. I recommend the conference!